The right lens color can improve contrast, ease eyestrain, and generally improve your vision. 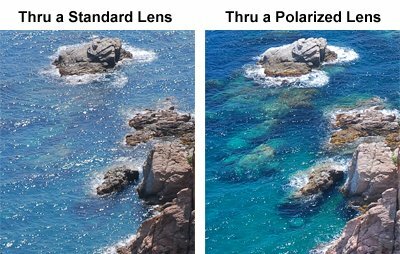 As you select a lens color, you should also decide on whether you want a polarized lens or not. The newest polarization technologies have the greatest impact on glare, regardless of color. Find your activity below to see which color lenses are the best for that situation. For runners and bicyclists selecting a good contrast lens is as important as getting a lightweight, comfortable frame. Versatility is also helpful because these activities often put people in variable light conditions, sunup to sundown. We routinely see professional runners wearing no sunglasses at all, and professional cyclists wearing grey lenses. These is rarely good ideas. Damaging UV light is the leading cause of cataracts. Running without glasses will not only produce unnecessary stain on your eyes that causes eventual fatigue, it can cause permanent damage. And Grey lenses are a good choice only if the wearer is unusually light sensitive. Grey provides zero contrast. It just makes everything darker. It is much easier to judge road textures and identify hazards with a good contrast lens. Both Oakley and Native have great options for athletes looking for versatility. The Native semi-rimless glass, like the Hardtop XP, come with a polarized lens, as well as a lightly tinted "reflex" lens for low-light conditions. 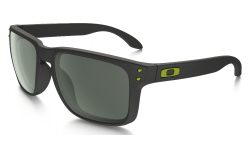 The Oakley Racing Jacket just replaced the Oakley Jaw Bone. 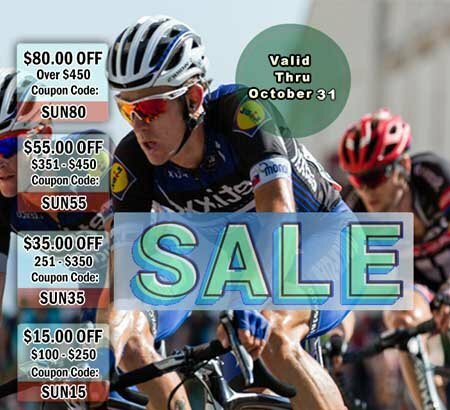 (Exact same lens shape) These Oakley lenses are easily interchangeable, and Oakley has some great lens color options for cyclists that are also available in a polarized option. These include Polarized Bronze, Polarized VR28 Black Iridium, Polarized G30 Iridium and Polarized OO Black Iridium. Other favorite lens choices for bicycling include the Nike Max Speed Tint, Kaenon Copper-12 and Adidas LST Contrast lens. Copper and brown provide the best contrast in most lighting conditions. The ability to recognize changes in road surfaces or texture as well as improved depth perception are benefits of these red-based lens colors. Grey is best if you are light sensitive. Grey maintains true color and is very fashion neutral, but it does not provide the contrast that is needed for these activities. Yellow is often worn at night or in low-light. Yellow will tame the glare of oncoming headlights, and everything will appear much brighter. 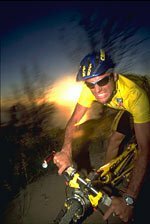 Many runners and cyclists are more comfortable and more confident when wearing yellow lenses at night. Yellow is a light gathering color, not a contrast color. Everything will look brighter, but yellow doesn't provide more contrast than a clear lens. Light Rose or light rust tints provide the best contrast in low-light conditions. The world will not seem as bright as it does through a yellow lens, but if the tint is light enough, you should have better vision. We go into lots more detail about selecting motorcycle glasses in our Motorcycle Sunglasses Buyer's Guide. Proper vision is a function of managing the air that could swirl around your eyes and selecting a tint that allows you to relax and see clearly. 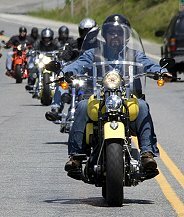 Tints that work best for motorcyclists are the same tints that work best for bicyclists and runners. Copper and brown tints provide the best contrast in most lighting conditions. The ability to recognize changes in road surfaces or texture as well as improved depth perception are benefits of these red-based lens colors. Light sensitive riders that select transitions lenses should avoid Transitions Brown. These will not feel as dark as Transitions Grey. Grey is best if you are light sensitive, or if you are spending extended periods of time riding in bright sunlight. Grey maintains true color and is very fashion neutral, but it does not provide the contrast that is often needed in critical situations. Choose a golf lens that wraps around your head, or protects your eyes from all angles. Those tiny flat frames that are so popular for street eye wear do not belong on a golf course. If light is reflecting off the back of the glasses and into your eye, your sunglasses are not protecting your eyesight. Copper provides the ultimate contrast in just about any sport. A white golf ball will be much easier to see against a blue sky, green fairway, or tan sand. Most glasses worn on a golf course allow about 12% of light through the lens, regardless of the lens color. Kaenon Polarized features some copper lenses that allow 28% to 50% of light through the lens. These lighter golf tints are worn my some professional golfers that had previously removed their sunglasses to see critical areas of the course. 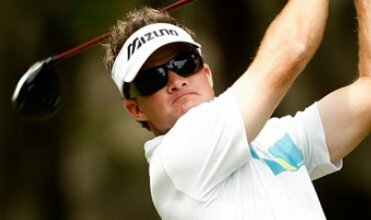 Oakley offers several awesome choices for golfers. The G-30 lens is copper color that is fine-tuned just for colors on a golf course. (The "G" stands for Golf) The VR-28 is also a great choice for golfers. Nike has a golf tint that looks a bit purple. We hear lots of good things about this lens. Grey provides sharp, clear vision on very bright days. But it does not improve depth perception, and it's not likely to help you read a green. People with light blue or light green eyes are typically more light sensitive than people who have dark eyes. Light sensitive people often prefer a grey polarized lens in bright light. Even if a grey lens is letting in the same percentage of light as a copper lens, the grey lens will feel darker. Your brain will translate contrast as brightness. Rose provides great contrast on low-light or cloudy days. Photochromic lenses adjust for varying light conditions. Photo Brown will provide more contrast that Photo Grey, but you will probably not have this option unless you are purchasing Rx lenses. Amber or Brown polarized lenses will help you find your ball on the bottom of a pond. Bolle has a goldish-brown tint called EagleVision that is designed specifically for golfers. Gold shades also improve depth perception. Polarized lenses have the greatest impact on glare, regardless of color. The reflection that you see on top of water is cause by glare. A polarized lens allows you to see through this glare and into the water. Grey is best in deep blue waters, and for maintaining true color. Grey is also a good choice to reduce eyestrain during long-term wear in any environment. Copper, amber, or brown lenses work well in shallow water. Copper provides the best contrast with the least color distortion. Yellow or Rose are best suited to low-light or early morning conditions. You may not want to wear these low-light lenses in bright sunlight. These are designed to make everything brighter. In full sun you need something that will filter light, not magnify it. This site features several manufacturers that offer polarized lenses exclusively. These include Maui Jim, Kaenon, and Native. The Native eyewear is designed more for runners than boaters, but the other manufacturers produce lenses specifically designed for use on the water. 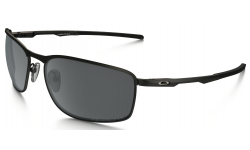 Oakley also offers some impressive polarized options for water sports. Their Deep Blue Polarized lens has a grey base and a blue Iridium coating that blocks blue light and provides all-day comfort on the water. In shallow water (lakes are considered shallow water) contrast colors are more useful. Our most popular shallow water lenses are the Kaenon Copper-12 lens, Maui Jim HC Bronze, and Oakley Shallow Blue Iridium. There are several polarized options for low-light conditions as well. These lenses are designed to provide the maximum amount of contrast, let in more light that standard lenses, and cut the glare that is naturally on top of the water. The Maui Jim Rose lens is in this category, but you can also wear this lens in brighter conditions as well. The Kaenon Yellow-50 and Copper-50 are both polarized lenses that are very specifically for low light conditions. We prefer the Copper-50 because of the added contrast, but some people prefer the impression of brightness that you get from a yellow lens. According to industry estimates, 18-20 thousand car accidents a day are attributed to glare. Polarized lenses have the greatest impact on glare, regardless of color. Amber and brown provide a natural contrast and help block glare and blue light. Copper is a perfect blend of soothing color and ultimate contrast. The most famous driver's lens on the market is the patented Serengeti "Drivers Lens". This shade of copper has been a long-time favorite of drivers and pilots for years. Grey, once again, is an excellent neutral color that blocks all the bad stuff (like blue light) and lets in true colors. Grey is also the most comfortable lens for extended exposure to the sun. Green highlights many of the colors that occur in nature, like green and brown. Red provides the best contrast when looking at any green background. Amber or Brown provides excellent depth perception against a green grass or blue sky background. Yellow lenses block harmful blue light, and enhance an orange target for shooters. 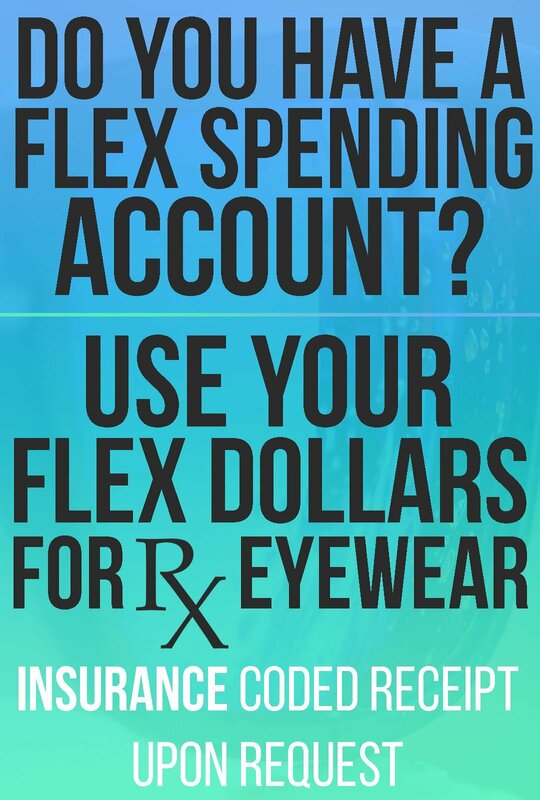 Buy Prescription Lenses in any color tint, polarized tint, or transitions for the frame you already own! 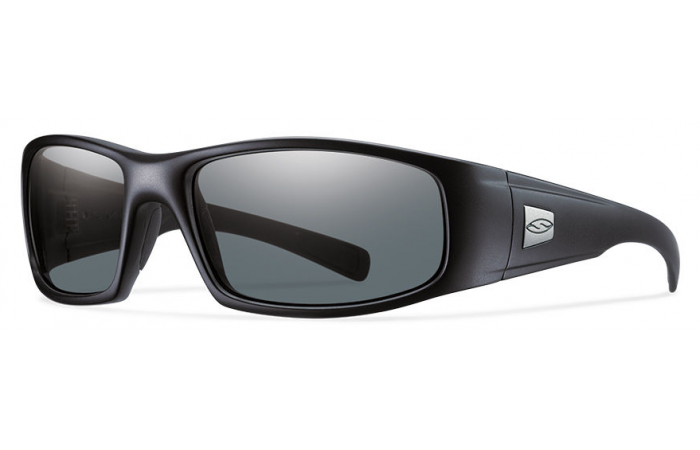 Buy Authentic Oakley True Digital Prescription Lenses for Oakley frames that you already own!